One of my favourite paradoxes is the existence of an underground community of musicians on the Internet. The World Wide Web is surely the way of getting your music out there, but for every Chance The Rapper out there riding a tidal wave of web-induced hype, there are a huge number of names who, while not commanding the popularity they often deserve, are sticking to their guns and releasing some of the more peculiar, but nonetheless intriguing music of the day. 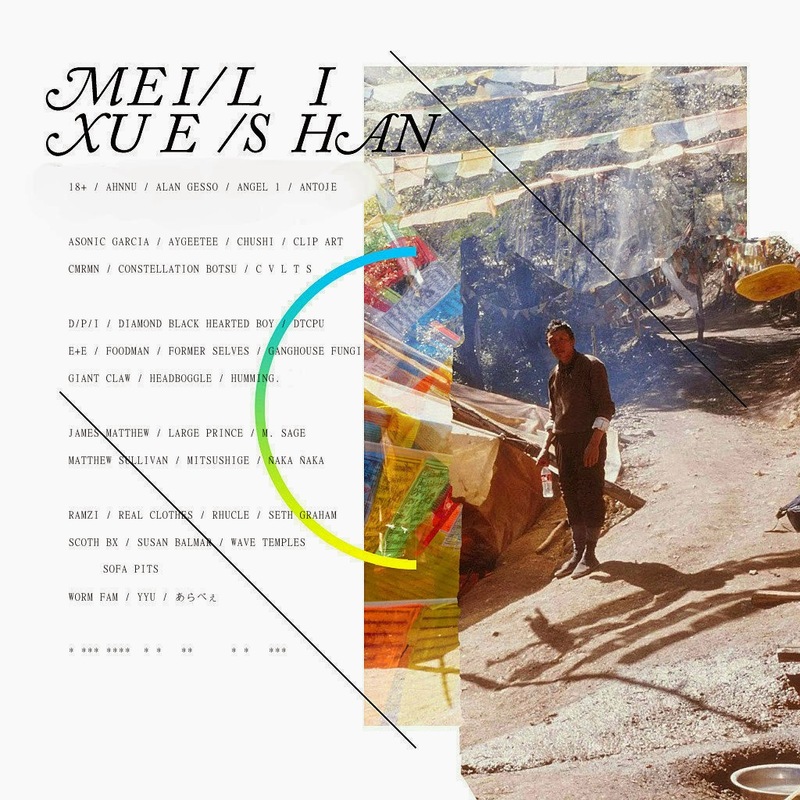 Meili Xueshan I&II, curated by the wonderfully named Hi-Hi-Whoopee, is an exemplary survey of the Internet's underground scene as it stands right now, featuring the likes of *ahem*: D/P/I, 18+, Foodman, AyGeeTee, Ahnnu, YYU, E+E, Diamond Black Hearted Boy, Giant Claw, Seth Graham, C V L T S, Sofa Pits (aka JCCG), but to name a handful. So, to you I say this; check this the hell out, and remember these names, because I have no doubt there'll be plenty more where these came from. Meili Xueshan I&II by V.A.